What's for dinner? So many foods, so many recipes, so many choices! That question is the basic premise of the book The Omnivore's Dilemma by Michael Pollan, which was the book we read for our first dietitian book club this past week. I had great fun thinking about what to serve. Knowing I was going to serve a soup, salad, and breads, I combined four guidelines to make my choices: make it a vegetarian meal, use produce that is in season in Michigan, use locally produced organic ingredients where possible starting with what came from our garden, and use mostly ingredients I already have in the house. To drink, I made iced teas (1) Earl Green tea (from Zingerman's) and (2) Raspberry Green tea (from Arbor Teas) plus iced decaf coffee (from Roos Roast). Also served (brought by friends Karen, Ruth, and Kathy G) to round out the meal were fresh organic strawberries so sweet I thought they had sugar added, several types of white wine, and frozen organic strawberries to put in the wine for added color, flavor, and health-promoting phytochemicals. Here is the recipe I made for the Chilled Curried Yellow Squash Soup with Cilantro-Lime Puree. I doubled the recipe as written in the book, with a few modifications. This recipe will easily serve 12-14, maybe even with some left-overs to enjoy later! •2 tsp. powdered garlic (or 5-6 medium garlic cloves, minced) - we dried garlic this spring from garlic bulbs my husband grew last summer that we had not eaten yet and were starting to dry out - the taste of our own dried garlic powder puts store bought garlic powder to shame! Heat the 2 Tbsp. olive oil in large soup pot over medium high heat. Add squash, onion and cook until soft, approx 8-10 minutes. Stir in the ginger, garlic, and curry powder, stirring until fragrant, only about 1 minute. Add the broth, potato, and salt to taste and bring to a boil. Reduce heat to medium-low and simmer until potato is very tender, approx 20-25 minutes. Puree the cilantro, lime juice, and olive oil. Drizzle some of the puree over the soup in each bowl and serve. Yum, yum!!! This soup is a winner, both for taste and eye-appeal. I know I'll make it again. It could even be made ahead of time and taken to a cottage or potluck dinner. Save all your fresh veggie peels and scraps left over from preparation, although I do not save any part that is "bad". Truthfully, vegetables get used so fast in our house that it is very rare for any spoilage to occur before use. Wash as much dirt off as possible although don't obsess over this. Save all the ends, peels, stems, and scraps in a 1 gallon size ziplock bag that is kept in the freezer. When that bag is chockfull, it is time to make broth. I pull out my crock-pot, placing all the frozen veggie scraps into the crockpot, which should be nearly full. Add water to cover to the top. Turn on low for all day cooking or high if I just have a half a day to get this done. At the end of cooking time, I pull out my seldom-used Melitta coffee maker, which is just perfect for filtering the broth from the vegetables and particularly catching any sand that is in the broth. After, collecting all the broth, I use it right away or freeze it in 1 quart yogurt containers. This can easily make 2-3 quarts of rich vegetable broth, for pennies on the dollar compared to what you would pay in the grocery store for pre-packaged organic vegetable broth, and truly just for minutes of your time. At this point, I do close the loop and toss the remaining veggie scraps into our compost pile to be recycled next spring back into new vegetables or flowers in our garden beds. 2) Free your mind from worries. Recently I've been reflecting on what I have been doing and what I may have "accomplished" over the past year after semi-retiring. By semi-retiring I mean, I finished up several voluntary responsibilities on various professional boards (and have resisted the requests to add new professional responsibilities even though they would be meaningful and enjoyable), and I accepted only three speaking engagements with my criteria being those invitations that would give me an easy opportunity to visit with my two grown sons who live in Virginia and Washington. In addition, I have stopped: (1) actively marketing my books A Dietitian's Cancer Story and Historia de Cancer de una Dietista, (2) updating my web site www.CancerRD.com on a monthly basis (plus responding to the numerous individual inquiries through my web site), and (3) developing the content for a quarterly Email newsletter. What have I been doing? Hmmm, I needed to reflect on that. I have done lots and lots of walking, playing with, and caring for our dog (initially our son Eric's dog) Kaya daily and often walking with her 2-3 times each day. I enjoy that immensely, and obviously so does Kaya. I have been far more active in our vegetable garden than years past, and in addition, this year I actually got our annual flowers planted before Memorial Day. In many previous years, I did so much speaking in May and June that it was often mid-late June before the impatiens, etc, got planted, let alone the yard weeded and tidied up. I have done more reading for pleasure than ever before. Do I read racy novels? No, I never have had time for that, and I don't anticipate that I ever will start. However, I have read lots and lots of non-fiction books that focus on food and food systems, books in the genre of The Omnivore's Dilemma. Have I taken up golf? No, I am a birder and would much rather spend my time, both alone and with friends, without the distraction of a golf club and aggravation of score keeping. I have done more birding around town than in years past. In addition, I do love to cook and have spent much more time exploring new cookbooks plus the ones I've had for decades. I love shopping at the local farmer's markets and have taken the time to do that. I also love being with my friends and making new friends. I have had more time for both opportunities, with my new friends being made through our local Slow Food chapter and also a group of local Lady Food Bloggers. Oh yes, blogging!! How could I forget that? I looked back over the times I have posted something on my blog and was astounded to see that dating from my first posting last year on June 21, 2007, I have done 113 entries to date. Wow, I had not even thought about the possibility that I had done over 100 blog entries over the past year. Yes, that represents a lot of time, but it is time very well spent that has been both meaningful and enjoyable for me (and I confess that I do hope my readers feel the same). Have I cleaned out closets? No, but I do feel like I have finally had time to clean out some of the closets in my brain, which finally made room for a great idea (!! ), in fact I would call it a bona-fide brainstorm. This whiz-bang of an idea hit me while in the shower a few weeks ago, where over the years I have had other similar bursts of creativity and coalescing of ideas that have been hanging out in the periphery of my brain. We had our first discussion and dinner two days ago. It was a heart-warming experience, and I have to confess that I am still feeling both jazzed and content, two days later. I'll post up some photos and a description of our meal in a subsequent entry. Having been a cancer survivor for such a long time, I will share with you that I have found that making plans and having future activities to look forward to are essential on-going components of my cancer journey. Thus I am very very excited to have both had a chance to review my activities of this past year and see how what I did and how I spent my time have led to the development of an exciting personal and professional activity for my upcoming year, with something to look forward to each and every month of the year that will be both fun, delicious, and meaningful. from these precious morsels of food. Thank you, thank you, thank you to all my colleagues and all the cancer patients who have contacted your two US Senators and House congressional representative at my urging over the past several years to voice your support of various bills that have been introduced to update and streamline the process for deciding how additional medical diagnoses (such as cancer) can ultimately achieve payment/reimbursement from Medicare for the professional services and expertise of Registered Dietitians (RD) who provide nutritional assessments, education, and counseling, which is formally called Medical Nutrition Therapy or MNT. Currently only those people with the diagnosis of either kidney disease receiving dialysis or diabetes have expertise from a Registered Dietitian covered as part of their comprehensive care, and reimbursement for both of these diagnoses literally needed an "act of Congress" to be included as a covered cost of care. The bill that passed the Senate Wednesday, July 9, and was passed earlier by the House of Representatives contains language that should allow MNT to be expanded to cover therapy considered reasonable and necessary for the prevention of an illness or disability. To be covered in the future, preventive services must be proven to be necessary and reasonable and receive a recommendation from the United States Preventive Services Task Force (USPSTF). Expanding MNT to conditions such as pre-diabetes should be approved by Medicare relatively quickly since the evidence is so strong that proper nutrition intervention can prevent the progression of this potentially expensive, debilitating, and even fatal disease. 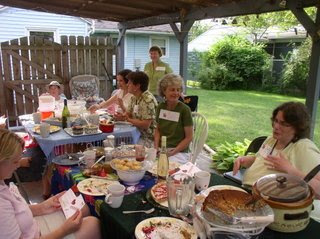 Other conditions (such as a cancer diagnosis) as recommended by the USPSTF based on current and emerging research in the future also would be evaluated by the American Dietetic Association and submitted to Medicare for consideration of reimbursement for the professional services of the Registered Dietitian. I have lost count of the number of letters I have written to my two Senators and House Representative about the importance and potential benefits of this coverage over the past many years (at least the past 5 years, if not more). I have also personally visited each of their offices in Washington, DC and even happened to meet one of my Senators on a airplane where we had an in-depth discussion about the various benefits from Medicare (and ultimately private insurance carriers, too) covering Medical Nutrition Therapy for numerous diagnoses. My focus has always been on what needs to happen to have Registered Dietitians and MNT included as part of comprehensive cancer care. However, it does not bother me one bit that the first diagnosis to likely benefit from this new bill (which is still to be signed and/or vetoed by President Bush, fortunately with enough votes available to override a veto if needed) may be pre-diabetes as opposed to cancer. The reality is (1) 57 million Americans having a pre-diabetes diagnosis (many not knowing it), (2) most people with a pre-diabetes diagnosis are overweight or obese, (3) being overweight or obesity is a risk factor for many types of common cancer, and (4) many patients with a new diagnosis of cancer are already receiving benefits from Medicare. Therefore, many new cancer patients will likely already have or will be newly diagnosed with pre-diabetes concurrently with their cancer diagnosis, which will permit them to become eligible for having MNT coverage by Registered Dietitians who can help prioritize and evaluate all of their nutritional concerns to optimize their pre-diabetes care along with both cancer treatment and long-term survival after a cancer diagnosis. At least that is how I see the positive to this new bill and development! As more and more research is done showing the benefits of MNT (i.e., nutritional evaluation and recommendations by RDs who specialize in nutritional oncology) regarding cancer prevention and also for cancer patients during treatment and recovery, I am confident that that day will come in which individualized and proactive nutritional care will become an automatic component of true comprehensive cancer care, just as one would expect surgery, radiation, or chemotherapy to be individualized to person's a specific situation and needs in order to optimize the odds for full recovery. If you haven't already read Ellen Goodman's column published this week in the Boston Globe, click on the title to my post for her full article "Some rows to hoe at the White House" published July 3, 2008. The title in the Ann Arbor News was "Push is on for edible landscapes." I admit to looking at homes with expansive and sunny front yards and/or side yards wistfully, envisioning how a large vegetable garden could be planted in that space. We just have too much shade in both front and back to have a good vegetable garden, thus our vegetable gardening efforts have focused on our community garden. I have this feeling that it is considered sacrilegious to cut down trees in Ann Arbor (except, sadly, for all of our ash trees that died due to the accidental importation of the non-native emerald ash borer). However, I am seriously considering doing so in both our front yard and back yard to open up the space for more sun in order to move and/or expand our vegetable gardening even more than we are currently doing. In addition, I also like the thought of planting some fruit trees and berries in my yard. Funny how life tends to come full circle if enough time goes by. When we first moved to northern Illinois in January of 1981, our three year old home was in the middle of a former cornfield, on which nothing had been planted except the few requisite little green evergreens around the foundation of the home. We had an unusually warm March, the ground was thawed, my husband eagerly rented a rototiller, ordered a truckload of local duck manure, and promptly tilled up the full back half of our yard. We had loads of sun in that former cornfield and a great vegetable garden from that point forward, including asparagus, raspberries and fruit trees, all of which were really sad to leave when we moved to Ann Arbor seven years later. Ann Arbor is going to have a local foods celebration in September. I think it would be enjoyable and motivating to have an organized home vegetable garden tour in order for people to see how other city folk use their own land in the city (especially small lots) to grow their own food, either as a garden per se or as "edible landscaping" or an "urban farm", particularly in the front yard. I really enjoy reading The Slow Cook blog written by Ed Bruske, who gives us all a glimpse into his trials and tribulations of vegetable gardening on a tiny plot of land, including the front yard, right in the city of Washington, DC about a mile from The White House. The amount of food production is impressive, and reading Ed's daily description of his efforts to grow his own food and promote the benefits of locally grown food is one of the highlights of my day! Other newspapers gave the title to Ellen Goodman's column "Plant the seed of independence in a garden". I like that title best of all. I have no need for maintaining the grass-roots (even organically) of my yard, but I sure do feel a deep and urgent need to tend to and nurture the roots of my lettuce, radish, kale, garlic, tomato, strawberry, rhubarb, heirloom bean plants, just for starters.